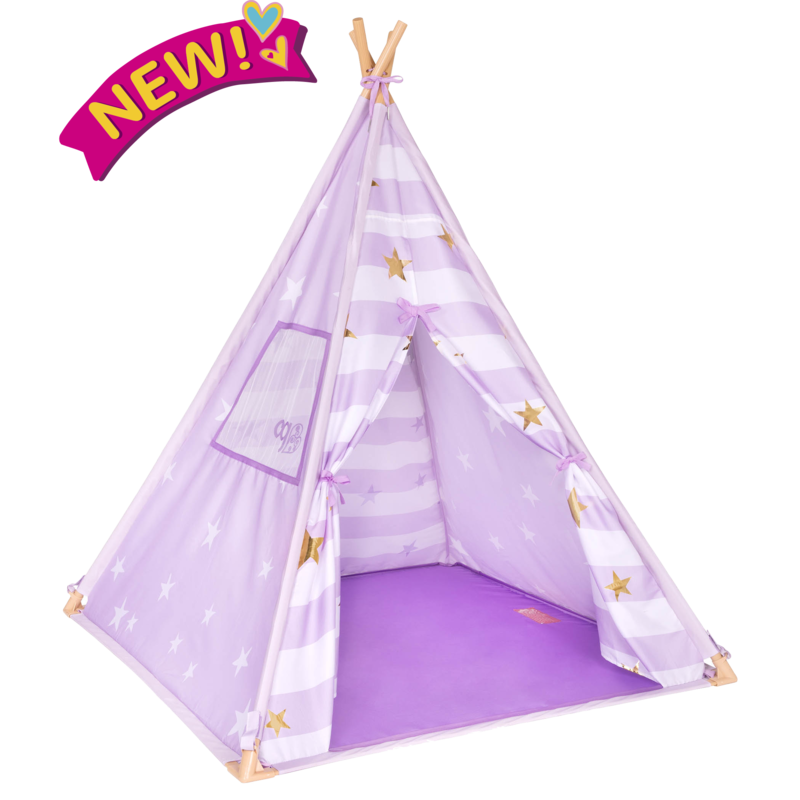 https://s3-ca-central-1.amazonaws.com/media.ogdolls/20181122212537/BD39003_NEW_Lilac_Suite_Teepee_for-kids-and-dolls.png Category: Fun and Adventure. 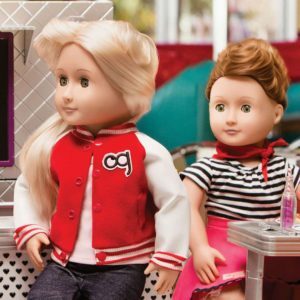 A great hang-out spot to enjoy with your 18-inch dolls! 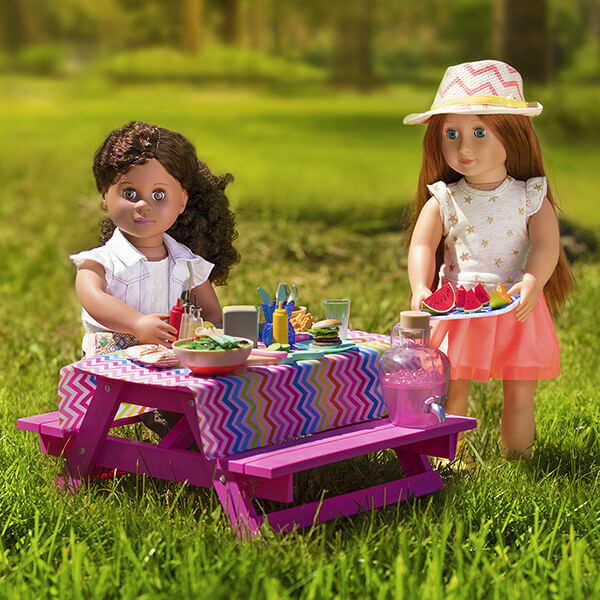 A special place for fun and adventure with your dolls that’s all yours! 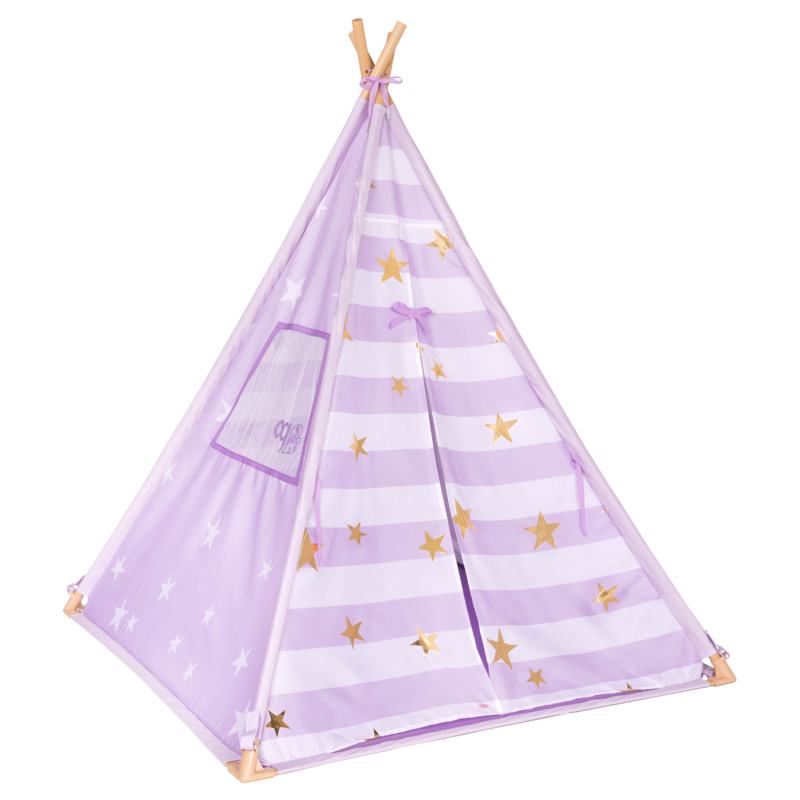 Twinkle in starlight with the Our Generation Suite Teepee play tent, now in a beautiful lilac color! 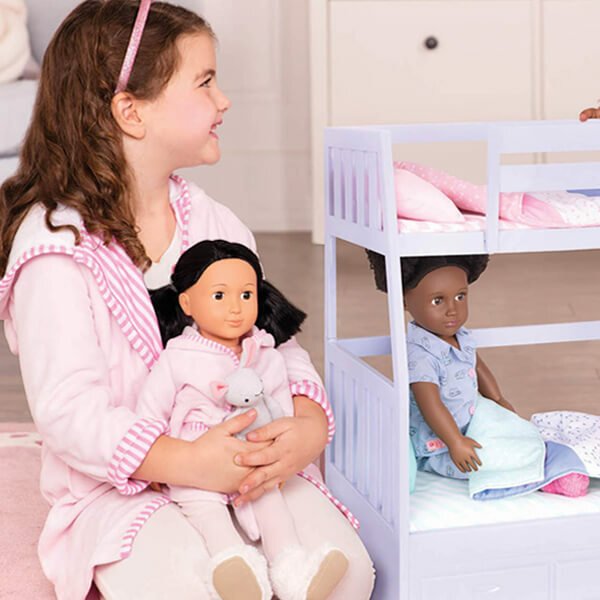 It’s the perfect place to have sleepover parties, to go pretend camping, or just to have a quiet corner to relax and dream! 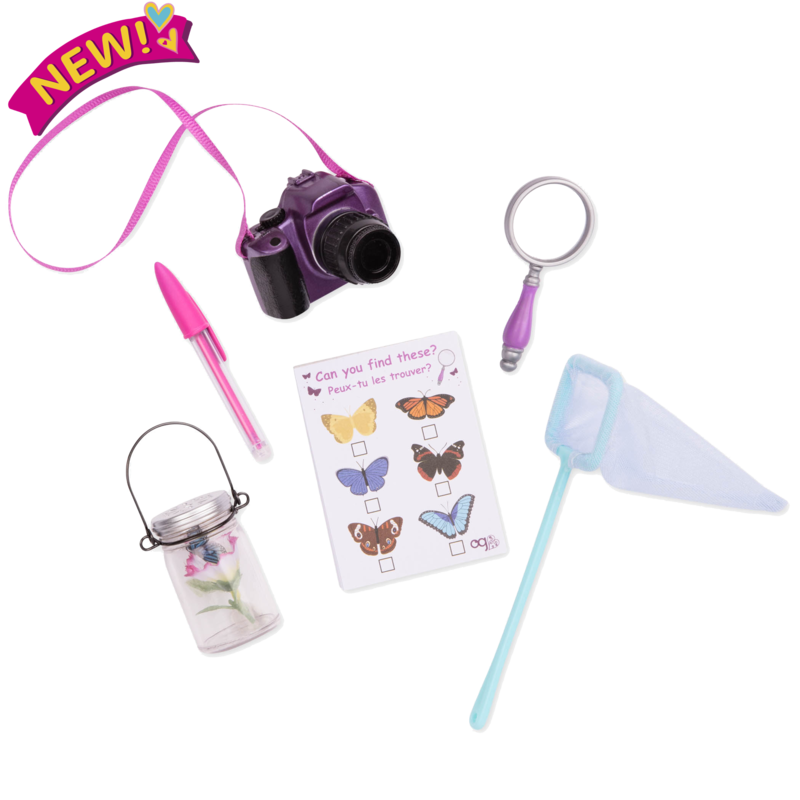 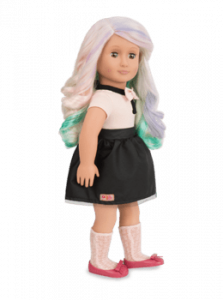 Fun Accessories for 18-inch Dolls and Kids! 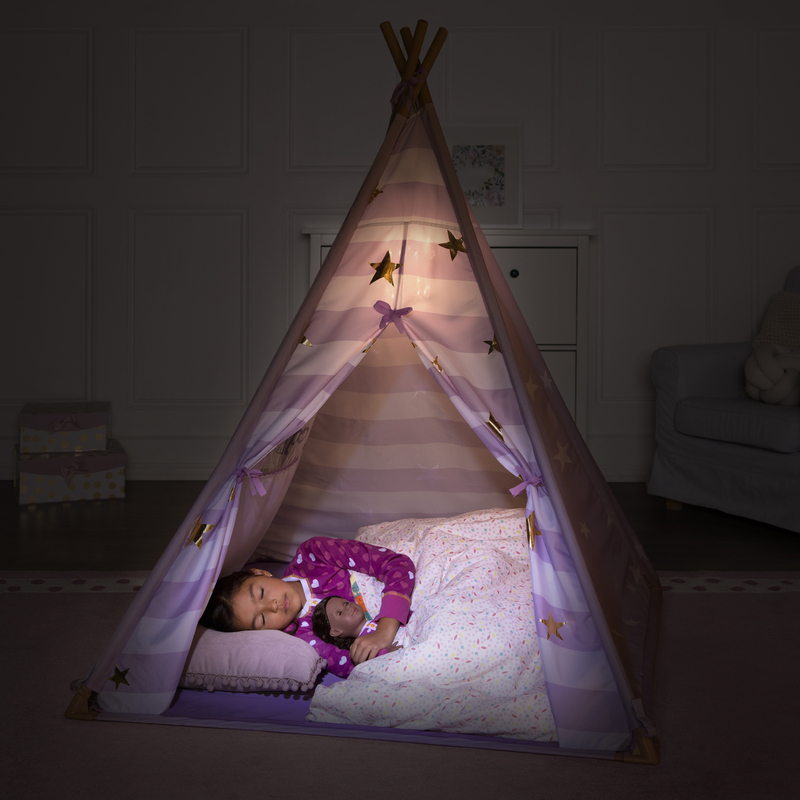 Who will you invite to share your teepee today? 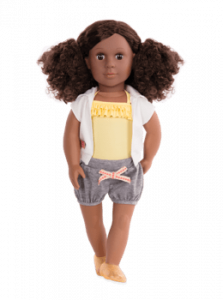 This indoor tent accessory is perfect for children to share with their 18-inch dolls. 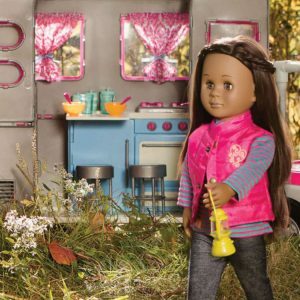 Easy-to-assemble fabric and poles make set-up a breeze. 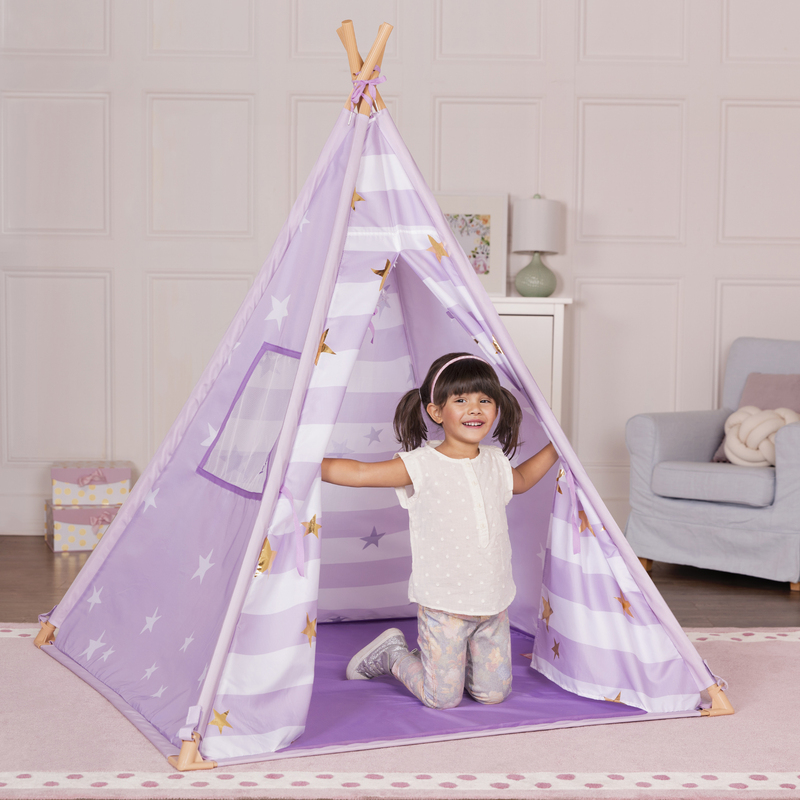 Assembled, the teepee is approximately 47.5″L x 47.5″W x 59″H, making it perfect for children to share with a doll friend (or two!) 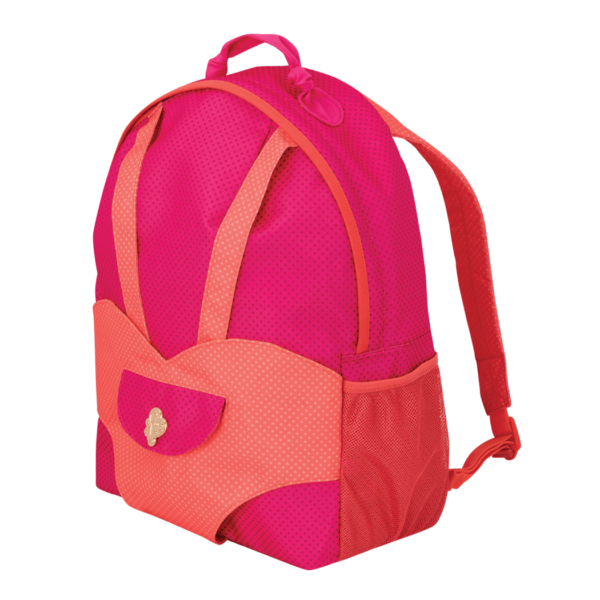 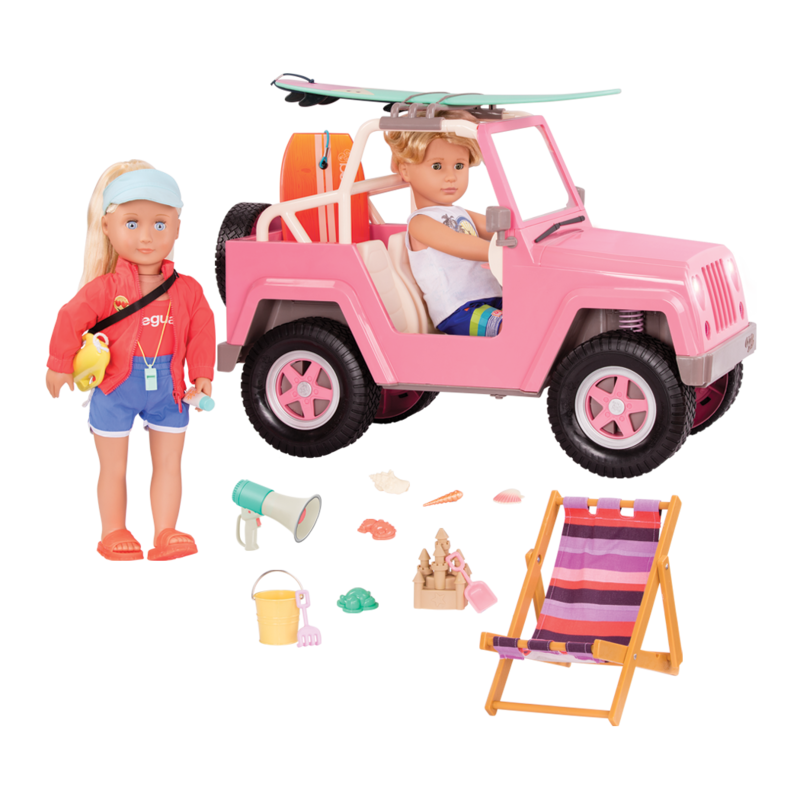 Use it for indoor pretend camping, sleepovers with dolls and friends, or whatever imaginary adventure you can dream of! 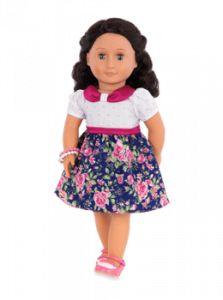 Light up the night with the beautiful star chandelier that hangs inside and makes pretty star shadows. 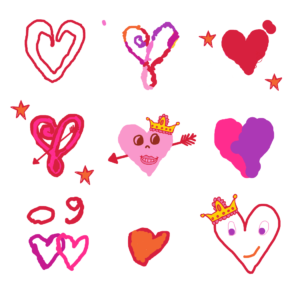 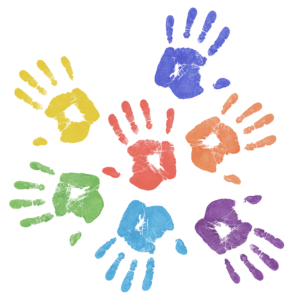 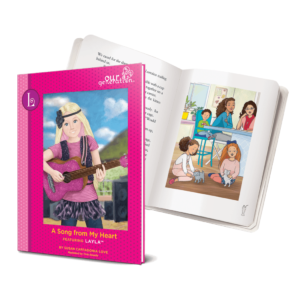 Get inspired by the world of imagination and play from Our Generation! 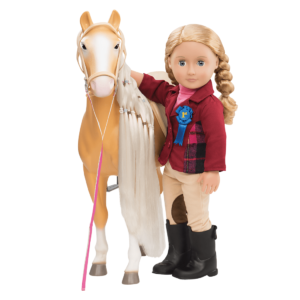 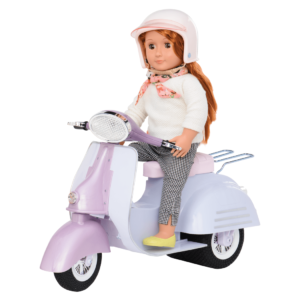 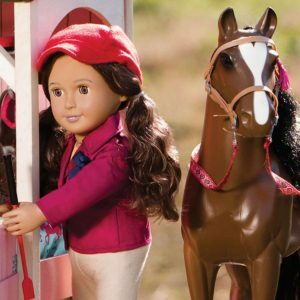 With so many dolls, accessories, and outfits to choose from, you’re on your way to fun and adventure! 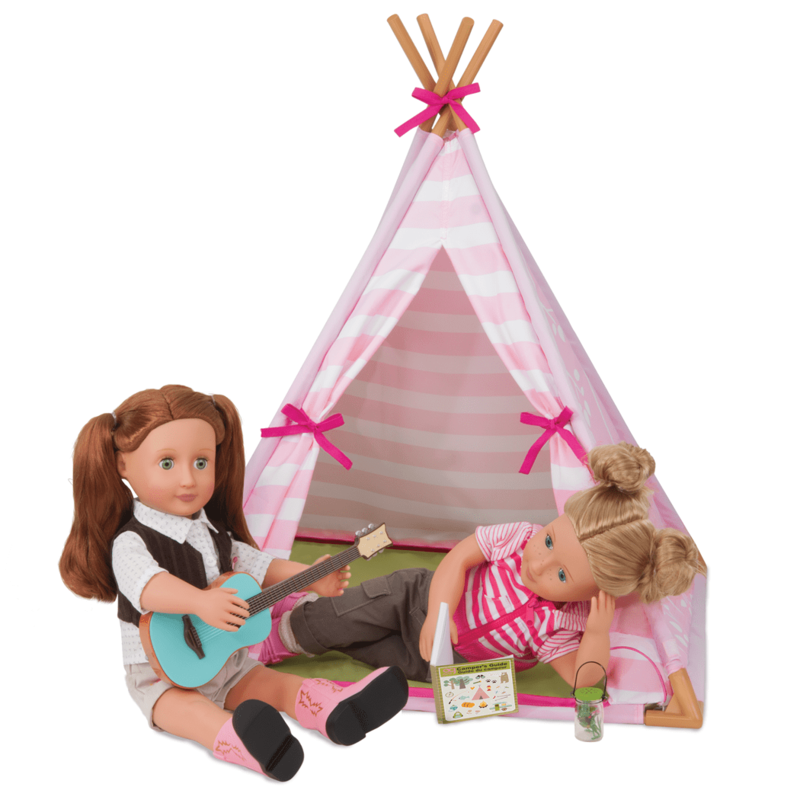 The dolls in the pictures of the Suite Teepee are Rowan and Nahla. 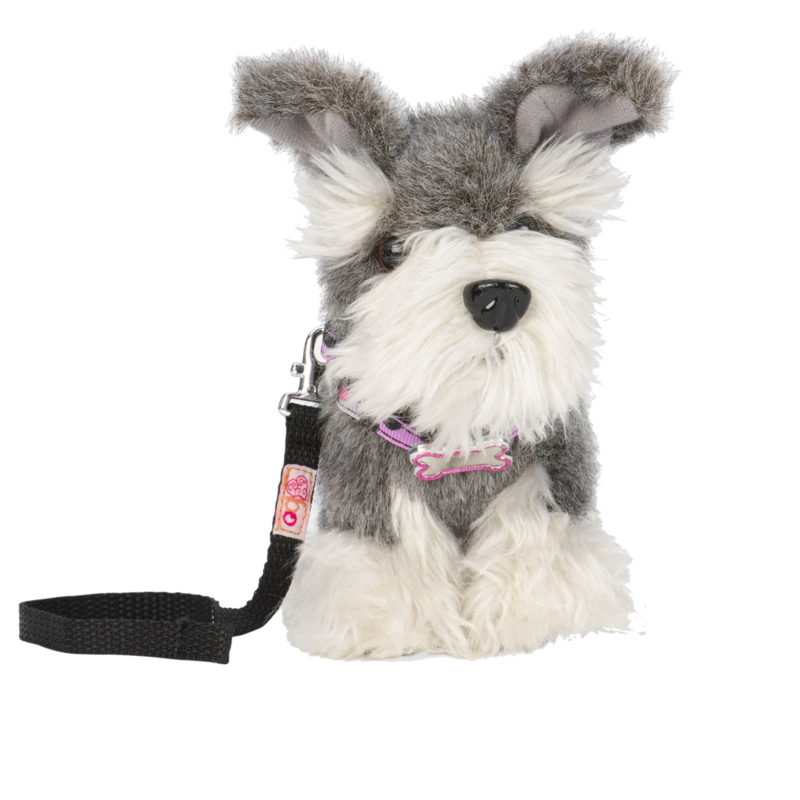 they love to camp out indoors with you! 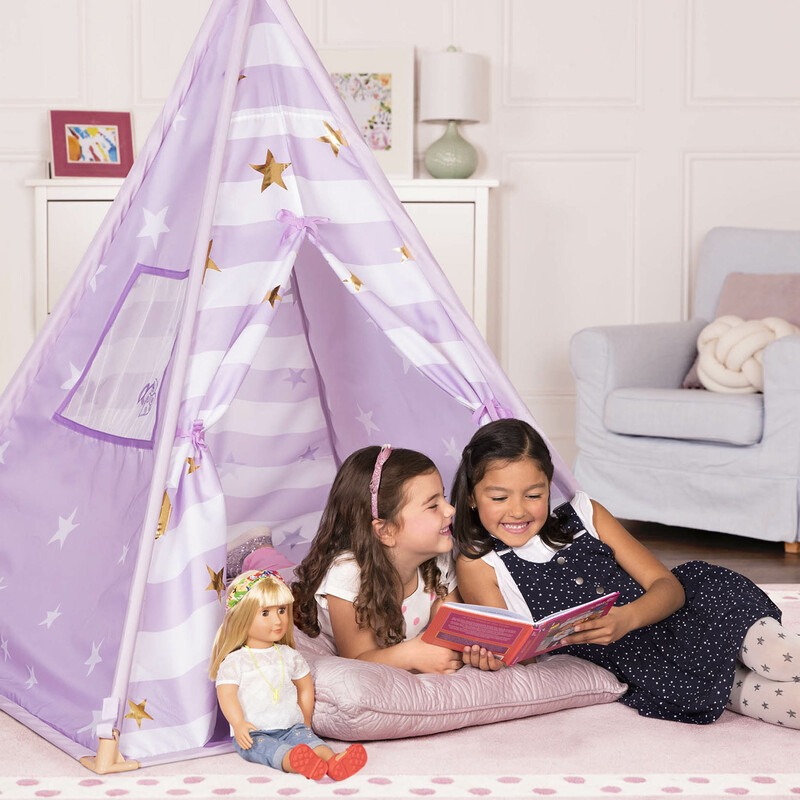 You can have a lot of fun in the Suite Teepee with activities like a sleepover with your dolls! 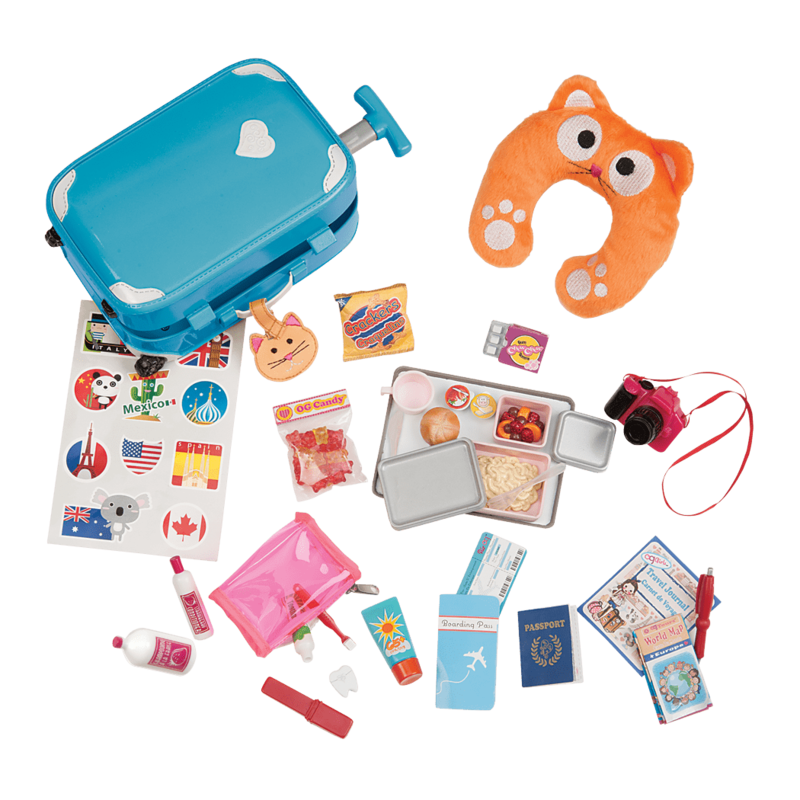 Check out the Polka Dot Sleepover Set for all kinds of great sleepover supplies. 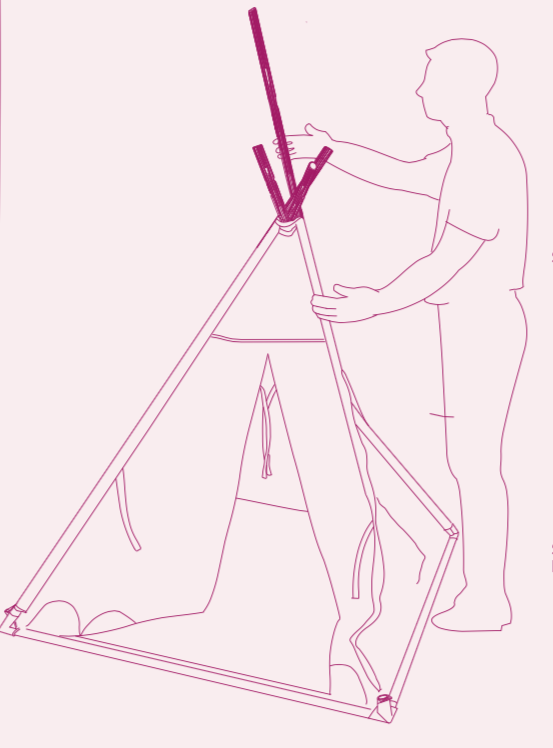 Take care during assembly of your Suite Teepee and please avoid forcing pieces together. 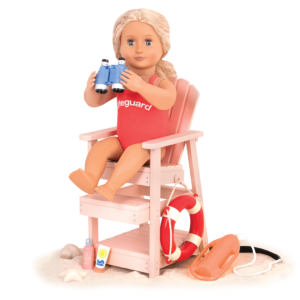 If at any time it seems like a part doesn't fit, we recommend checking the instruction page to clarify.